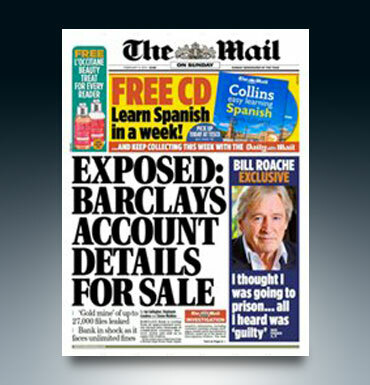 A whistleblower contacted JHA to expose how Barclays Bank customers' stolen details had been sold to rogue traders. The exclusive story ran on the front of the Mail on Sunday newspaper and was picked up by every national news media outlet. The whistleblower was paid handsomely for their story while retaining their anonymity.